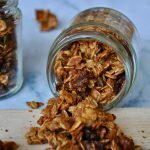 Today I am bringing you this guest recipe for Homemade Granola with Cinnamon & Cardamom from my lovely friend Eli from @cerealandpeanutbutter! 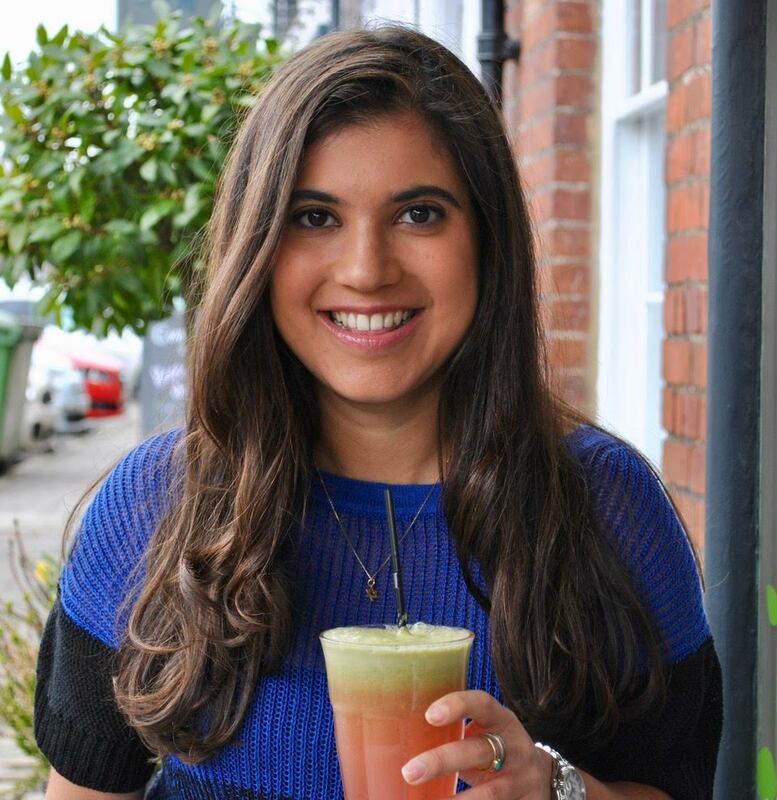 Eli Brecher is a London-based food blogger and healthy recipe developer. Eli created her blog in during her first year at university, when she was struggling with Crohn’s Disease. Since then she has worked with a wide range of brands in the food and wellness world, while living in Paris and Madrid obtaining a languages degree. She is now pursuing her passion for nutrition by studying a second degree in Human Nutrition. 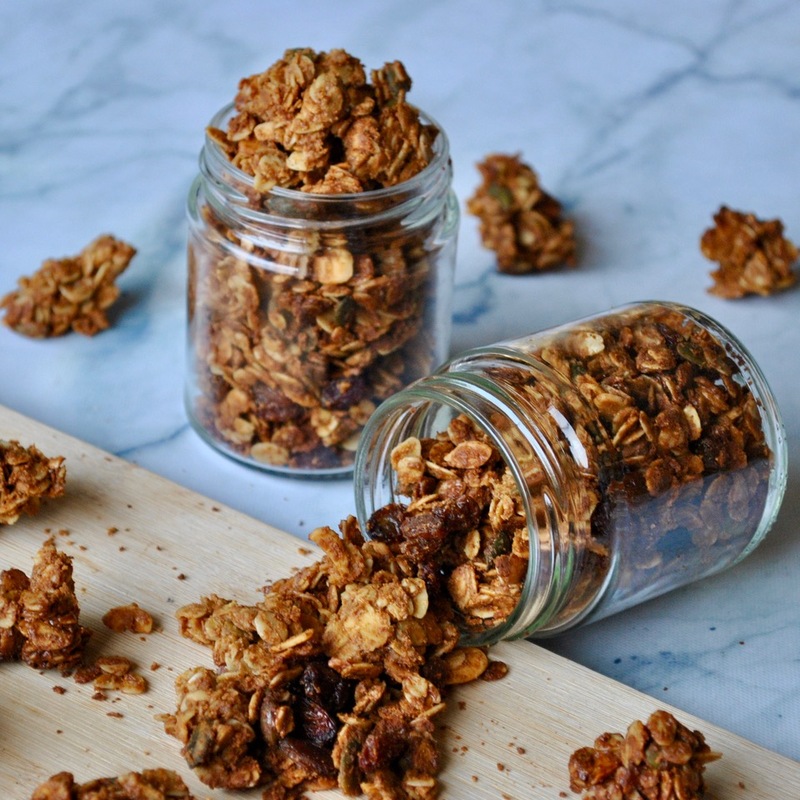 Follow along as she shares her delicious and nourishing recipes on Instagram at www.instagram.com/cerealandpeanutbutter and at www.elibrecher.co.uk. 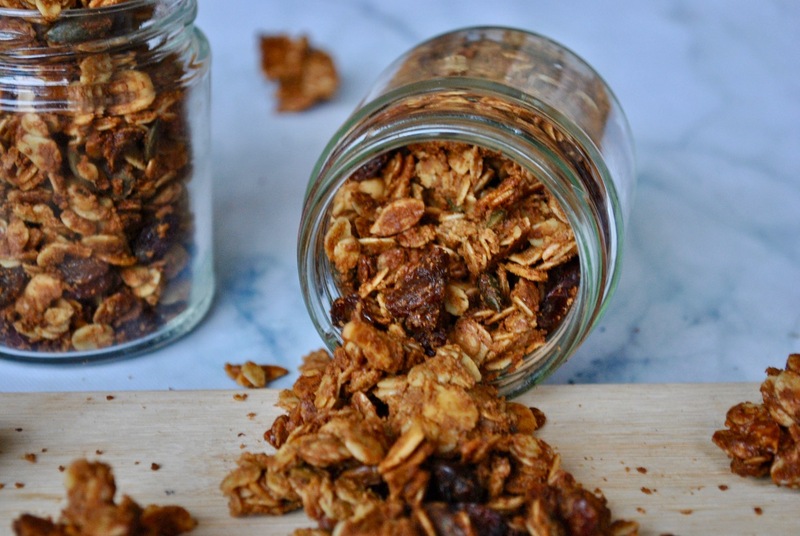 This spiced granola combines classic ingredients like cinnamon and raisins with a pinch of cardamom for a unique, Middle-Eastern inspired twist. 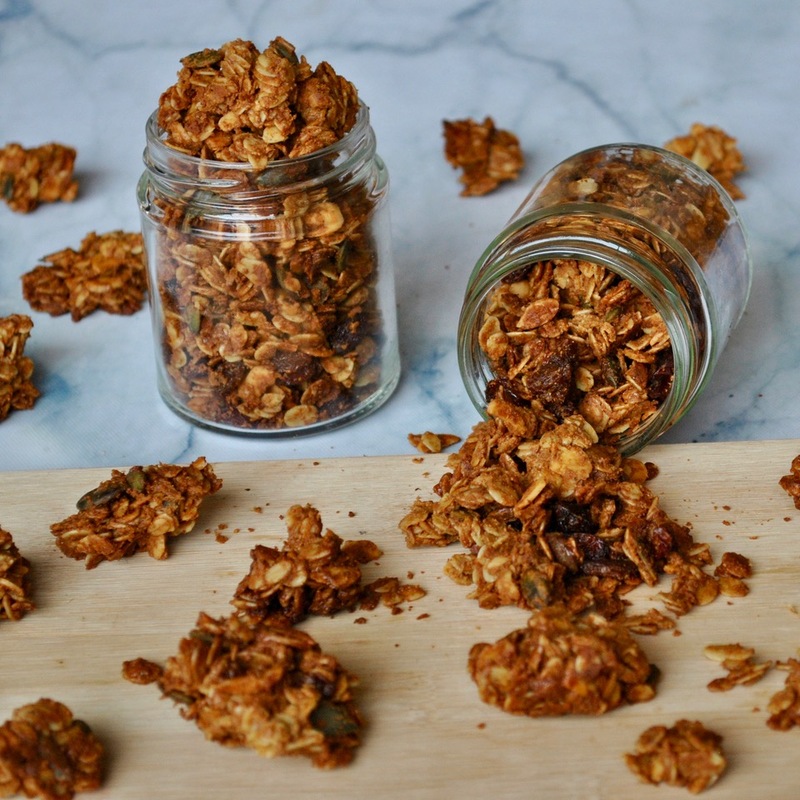 The crunchy clusters are delicious served over a bowl of coconut yogurt or with a splash of almond milk and fresh berries. It’s also incredibly moreish when eaten straight out of the jar! Preheat the oven to 170 C and line a baking tray with grease-proof paper. Add the oats, seeds and nuts to a large bowl. Melt the coconut oil in a frying pan over a low heat, then keep the heat on low and add the nut butter and maple syrup. Stir consistently until no lumps remain. Remove the frying pan from the heat and stir in the cinnamon, cardamom, vanilla and sea salt. Pour the wet mixture into the large bowl and mix until fully combined. 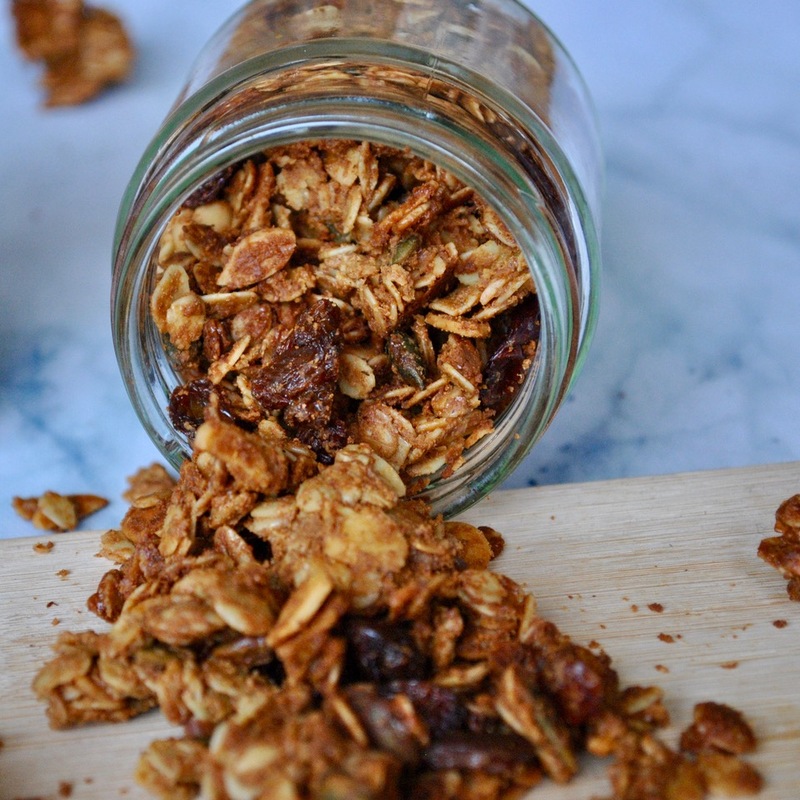 Spread the granola mixture into a very thin layer on the lined tray, using a spatula to press it together so that clumps form. Bake for 25 minutes, then remove from the oven and stir to ensure even baking. Sprinkle over the raisins, and return to the oven for a further 10 minutes. Allow to cool fully before storing in an airtight container. 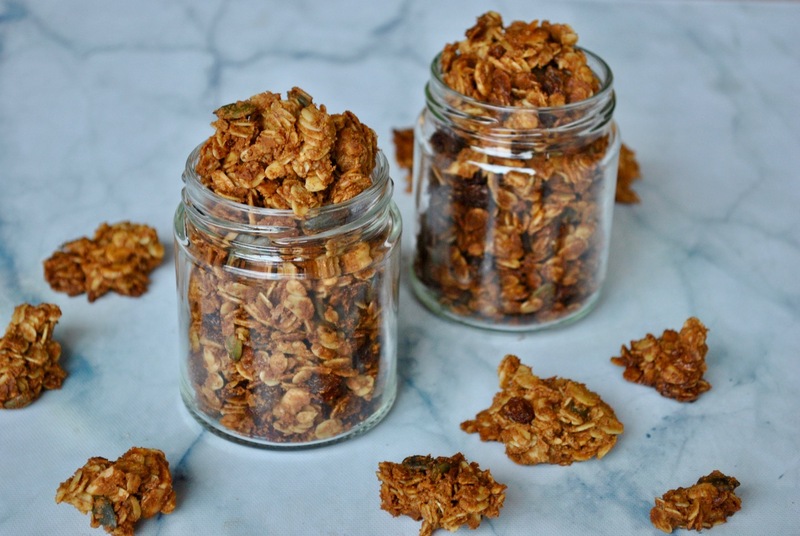 Looking for more vegan breakfast inspo? 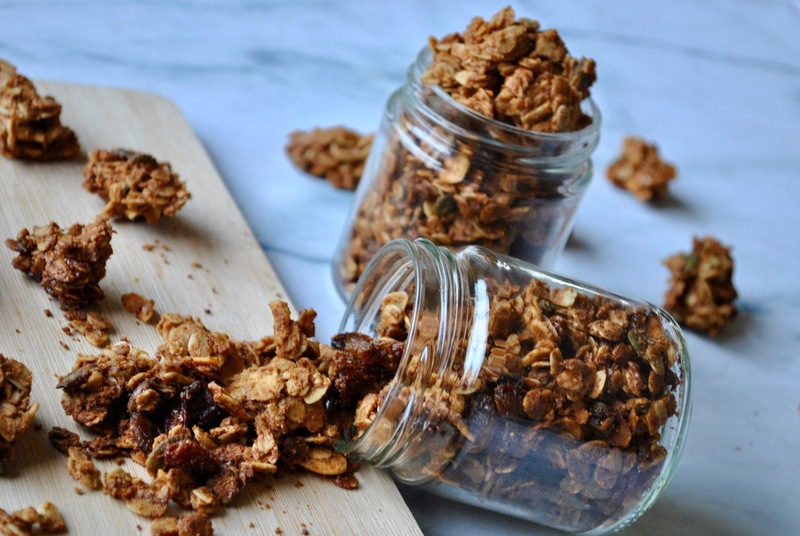 Make sure to check out the selection of vegan breakfast recipes on my blog!